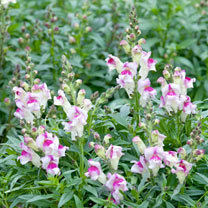 A statuesque antirrhinum of medium height, producing white flowers, with a silvery sheen, attractively flushed with pink. 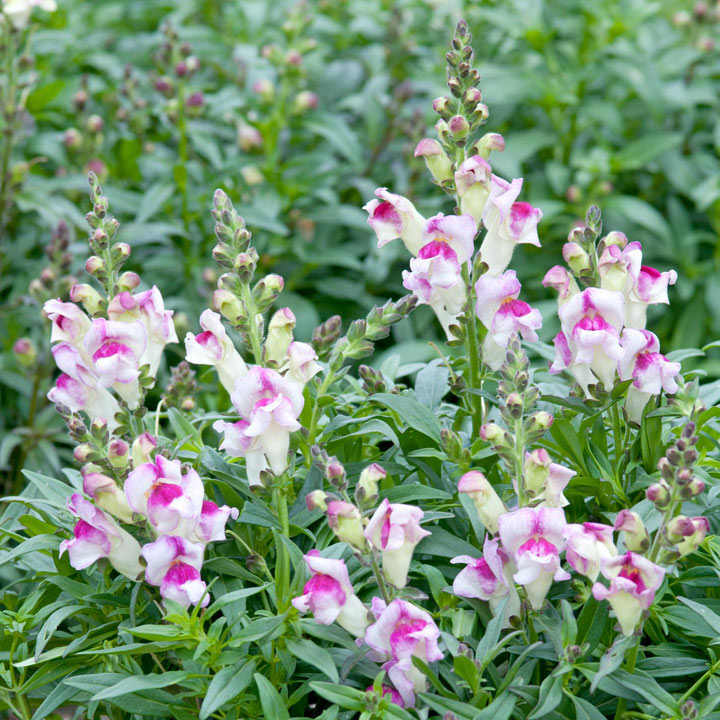 Perfect for borders or large containers, the plants will keep up their display all summer long. Height 45cm (18”). A perennial best grown as an annual. Most varieties have the traditional ‘snapdragon’ flower form, but some have ‘azalea-like’ or open blooms – these are the ones to choose for fragrance. Sow January-April indoors for flowering June-October. Ideal for beds and borders. Prefers full sun.